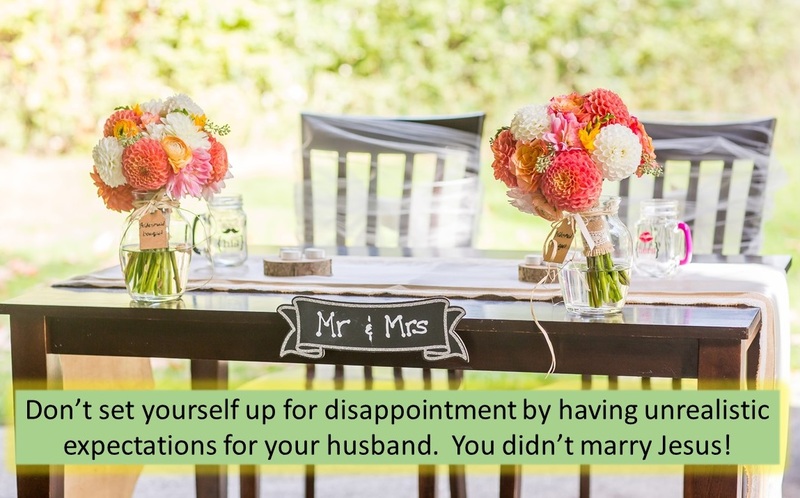 The tricky thing is that no husband can perfectly live up to that expectation. Therein lies the challenge. As wives, we yearn for a perfect husband who cherishes us, adores us, romances us, sacrifices himself for us, shares his feelings with us, courageously protects us, diligently provides for us, tenderly raises children with us, spiritually leads us, and on and on. Whew! That’s a long list! Frankly, only Jesus could hit the mark on all those expectations, and guess what? Your husband isn’t Jesus. ← Are you spreading a stress virus? !